Yossi Ghinsberg talked with Channel 7's The Morning Show (Australia) about his story which is heading to the big screen and about Daniel playing him in the film - "it's a huge privilege to be represented by him". I have added screencaptures below. 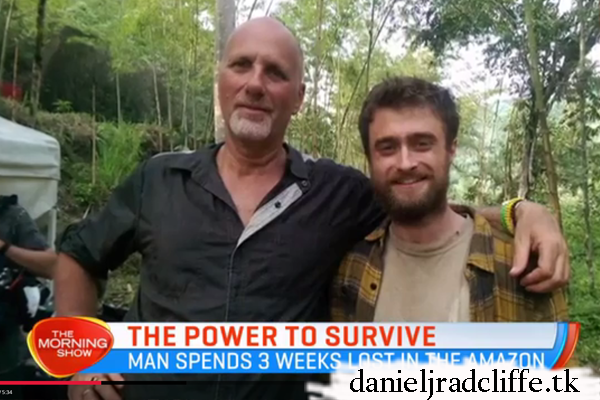 You can also see a short video of Yossi with Daniel at 0:29 in the video. Jungle is set to be released in Australia in August at the Melbourne International Film Festival.